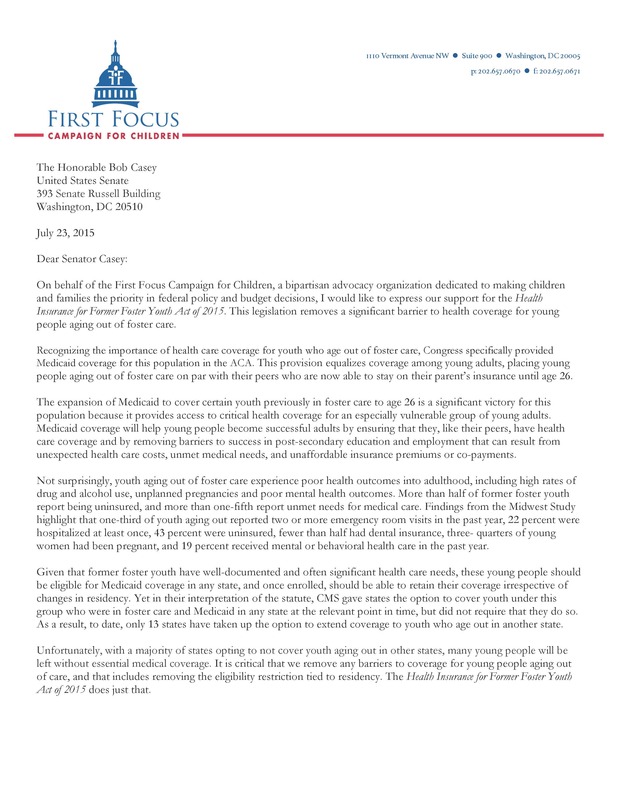 First Focus Campaign for Children sent this letter in support of the Health Insurance for Former Foster Youth Act of 2015. 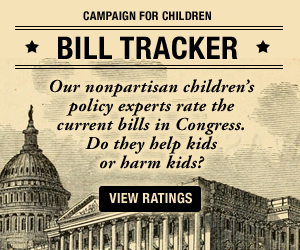 The legislation removes a significant barrier to health coverage for young people aging out of foster care my removing the Medicaid eligibility restriction tied to state residency. This will allow youth previously in foster care to remain on Medicaid to age 26 in any state, irrespective of changes in residency.